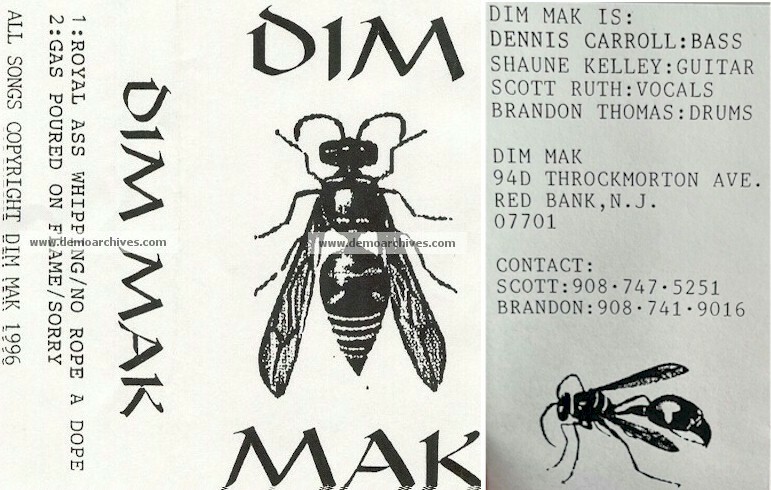 Dim Mak is a death metal band from New Jersey. The band was formed from the ashes of Ripping Corpse, by guitarist Shaune Kelley, vocalist Scott Ruth, and drummer Brandon Thomas. Thomas left the band sometime after the release of Intercepting Fist to later join The Dying Light. The band's lyrical and thematic inspirations include martial arts, Bruce Lee, human rage and violence, Lovecraft's Cthulu Mythos, battles, etc.